Historic Shed recently completed this new heavy timber pool pavilion with exposed rafters set on a concrete pad, with a 5-V Crimp metal roof. 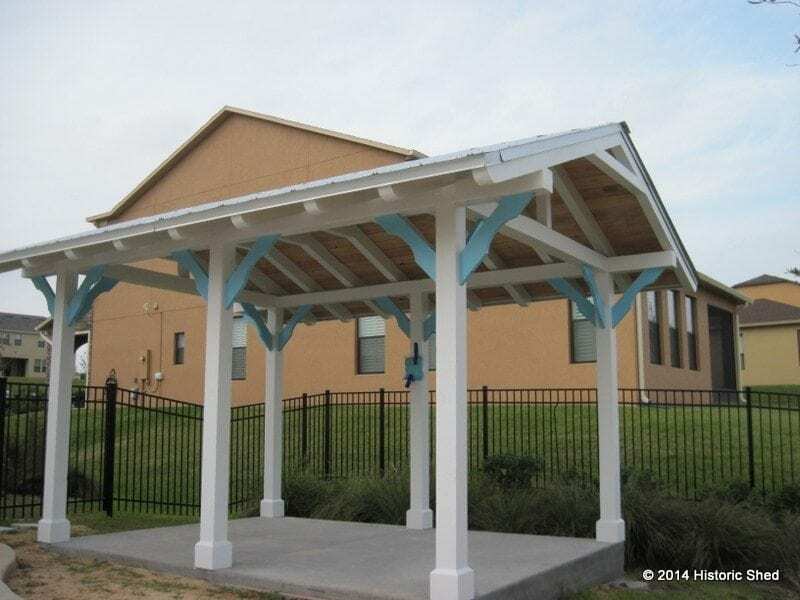 Set in a new neighborhood in Florida, the shelter will provide much-needed shaded seating near the pool. The owner is having the area professionally landscaped and we hope to show off finished photos of the yard when it is complete. Sometimes you need to get out of the sun but don't want to leave the pool side. This sturdy, permanent wood pavilion makes a lovely yard accent as well as the perfect setting for sipping your favorite tropical cocktail, complete with mini umbrella. This design can easily be adapted to a pool cabana/ changing area with the use of privacy curtains. 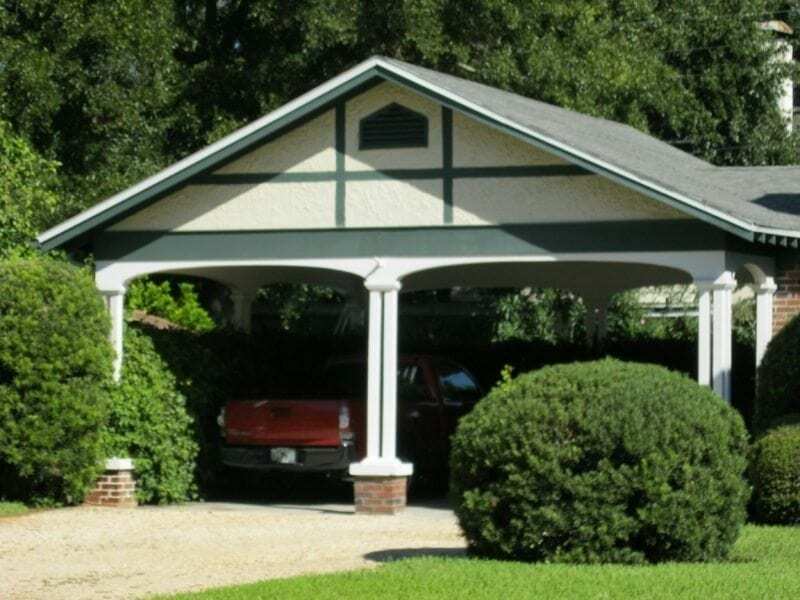 It is also more suited as a gazebo for bungalow style homes than Victorian-stylized octagonal gazebos.